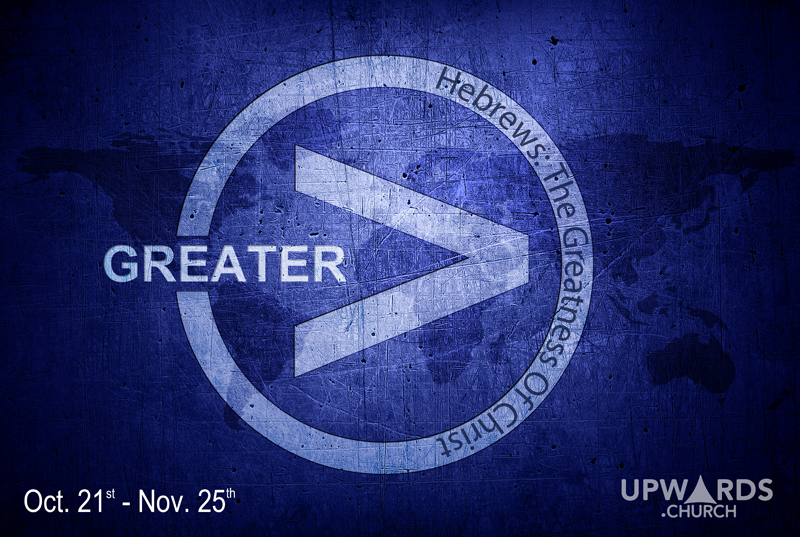 The message of the book of Hebrews is that Jesus is greater. He’s greater than anything or anyone. Hebrews is all about Jesus. From chapter one all the way through chapter thirteen there is a radical focus on Jesus. Here in the second chapter, we are introduced to this Great Salvation Jesus brought. What’s so great about it? It’s great because it’s available to everyone, not just a few select people. It’s great because it is forever, it never expires. It’s not like a driver’s license you have to renew, it’s good forever. This salvation is great because of the great cost required to purchase it. As we dig a little deeper into this great salvation, let’s learn three truths that will transform us. Jesus has made it possible for us to regain our greatest Destiny. The writer is quoting Psalm 8 in sort of a tongue in cheek way for it was a very familiar psalm. The gist of what he writes is something like this: “Isn’t there a psalm somewhere that talks about God making man putting EVERYTHING under THEIR feet? Oh yes! It’s in Psalm 8!” That would have gotten the first readers’ attention and helped them to remember that we were supposed have dominion over the entire created order. According to the book of Genesis this was God’s plan, but man sinned and because of that, as verse 8 says, that God-given destiny, our intended dominion over the world, well it hasn’t worked out too well. Inside all people we have a sense of this lost destiny. We have never forgotten this position of dominion God gave us and we long to regain it. Ray Stedman writes, “This is why we have to explore the depths of the sea. It’s why we have to get out into space. It’s why we cannot keep off the highest mountain. We have to get up there—even though we have not lost anything up there—and know when we get there we will only see what the bear saw—the other side of the mountain. But we have to get there.” Stedman is right. We each have this remarkable vestigial recollection of God telling us we are designed to have dominion. The trouble is that—because of the fall—when we fallen beings try to exercise dominion we just mess things up more because our ability to do so is no longer there. Then verse 9 says, “But we do see Jesus!” This sentence is a reminder that during His earthly ministry Jesus demonstrated the dominion man was intended to have. He calmed the storm. The fish of the sea obeyed Him and swam into Peter’s nets. Jesus healed the sick and even raised the dead back to life. Jesus is the picture of man as he was meant to be. And the best evidence of that is His dominion over sin itself, the sin that frustrates our efforts to regain our destiny. Jesus lived a sinless life, a life that was pure in thought, word, and deed from the moment He drew His first breath in that Bethlehem cave until He drew His last on that Roman Cross. Because of that Jesus is able to restore our destiny. One thing that brings me comfort when I think of people like my grandfather, my uncle and dear friends from our church family and so many others who have died is the fact that they are not just in Heaven sitting on clouds playing harps. No, they are enjoying the dominion God promises. They have realized their destiny! Even now God has them doing tasks of amazing eternal significance. So part of what heaven will be like for us will be a restoration of authority over God’s creation of a new heaven and a new earth. This is the first time in Hebrews we read about the grace of God, but it won’t be the last. My definition of grace is simple. Grace is God giving me what I need instead of what I deserve. I deserve to spend eternity separated from God in a place called hell, but what I need is forgiveness and a new life that includes being with Jesus forever in heaven. This chapter is all about our Great Salvation. If you will accept by faith that Jesus died on the cross to take your place, then you can have paradise restored. Once you understand the tremendous cost of your great salvation, you will want to live for Jesus. Have you read the latest statistics on death? One out of one people will die. Death is no respecter of persons. Old people die; children die; teenagers die; young adults die. As followers of Jesus Christ we don’t have to fear death because Jesus has already tasted death for us. In ancient days, kings and rulers often had food tasters. Kings had enemies who would poison them if given a chance, so these servants tasted the food and drink, and if they didn’t fall over dead, the king could enjoy the meal. That would have been a pretty tough job. The perks were that you’d get to eat the kings’ food. The disadvantage of the job was that you had to eat the king’s food. Jesus tasted death for every one of us. That doesn’t mean He just nibbled it, or gave it a taste test. He fully consumed the entire bitter cup of death. He was swallowed up by death, but then death was swallowed up in victory when Jesus came out of the tomb alive. And because He tasted death and survived, He lets us know that we don’t have to be afraid. If the Lord tarries, death is inevitable. So our main concern isn’t, are we going to die, or even how are we going to die. The question we should be concerned about is what is going to happen to we after you die? How will we escape the judgment of God if we ignore such a great salvation? We won’t. Faith in Jesus who tasted death for us is our only hope. This entry was posted in Greater - Hebrews and tagged death, Hebrews, Jesus, salvation. Bookmark the permalink.